You are here: Home / Articles & Advice / Breeding from your Mare? This is aimed at anyone who is thinking of putting their mare into foal. The conference was filmed by Country Channel TV who are produced two programmes on this topic. 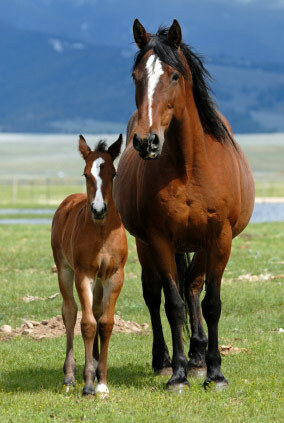 Remember that breeding a foal is a life long commitment. Be aware before you start looking for a stallion. think about how many rescue cases there are now. Basically in the UK we now have too many horses to fill the needs of the available owners. If you sell your foal on you have no idea where it will end up – it could finish up dying of starvation like so many others today. Level 1 - I have really enjoyed this course.